This enables the entrants to enjoy the rally runs with vehicles of similar speed and capacity. 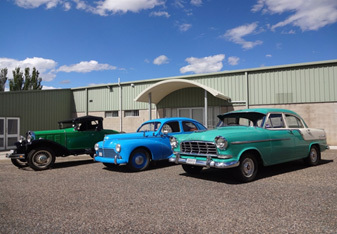 This rally is again organised by the Cooma Monaro Historic Automobile Club Inc., utilising their very modern clubhouse and facilities. This rally will be over scenic sealed roads of the Cooma Monaro area and foothills of the Snowy Mountains. This rally is open to vehicles fifty years and older.